In the last few years, Bondi has become known for its incredible foodie culture. It is home to some amazing cafes, and the latest is Christian Avant’s out-of-this-world eatery, Milky Lane. With a funky space and friendly service, if you’re looking for a phenomenal feed, Milky Lane will be right up your alley. 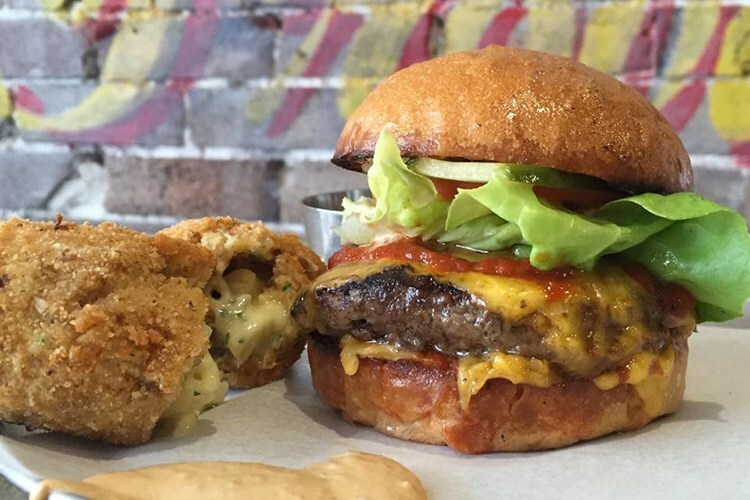 The café is styling itself as a burger joint, with some serious sides that will tempt any tastebud (mac ‘n’ cheese croquettes, anyone?). But what’s causing the real frenzy is their dessert menu, and it’s not hard to see why. Remember when you thought getting a waffle cone instead of a normal one was treating yourself? 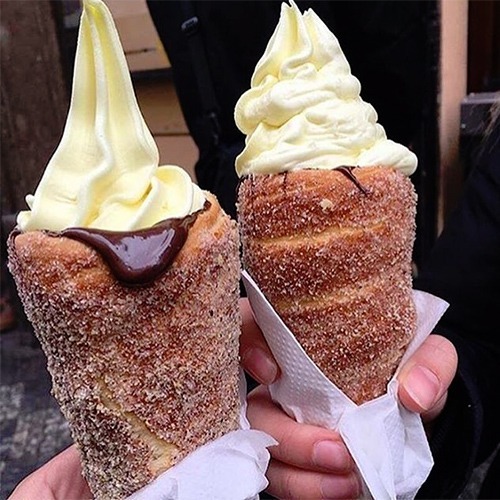 Well, those days are over, because now Milky Lane is giving us the CoNut – creamy soft serve in a cone made of doughnut. But that’s not all. They’re also be dishing up the extremely Instagrammable churro bowl. This is exactly what it says – a churro in the shape of a bowl, dusted with cinnamon sugar and filled with homemade ice-cream. 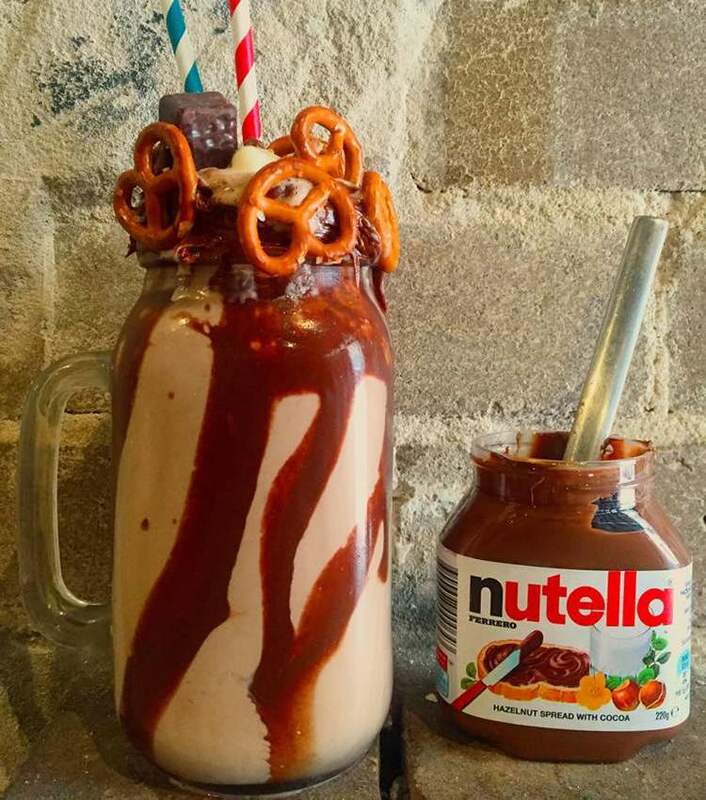 Both sweet sensations come drizzled with sauce and smothered with all the toppings you could desire, from crushed nuts and pretzels to Maltesers and marshmallows. Be still our hearts – these are some next level treats that are not to be missed. We had a chat to the king of the CoNut, Christian, to find out more. Hi Christian, thanks for having a chat to us. Can you tell us a bit about your background and how you got started in the food industry? My background has been in events and running/owning nightclubs for the last 12 years, so I have always been in the hospitality industry but never food until now. Over the last few years, I have put together events for huge acts such as Calvin Harris, Disclosure and more. When the lockout laws came into place a couple of years in Sydney, things changed drastically for many businesses including my own so I felt that it was time for a change. I could stomp my feet up and down for weeks, months or years or I could adapt. So I did, and this is when I created the Milky Lane concept roughly 12 months ago from this day. 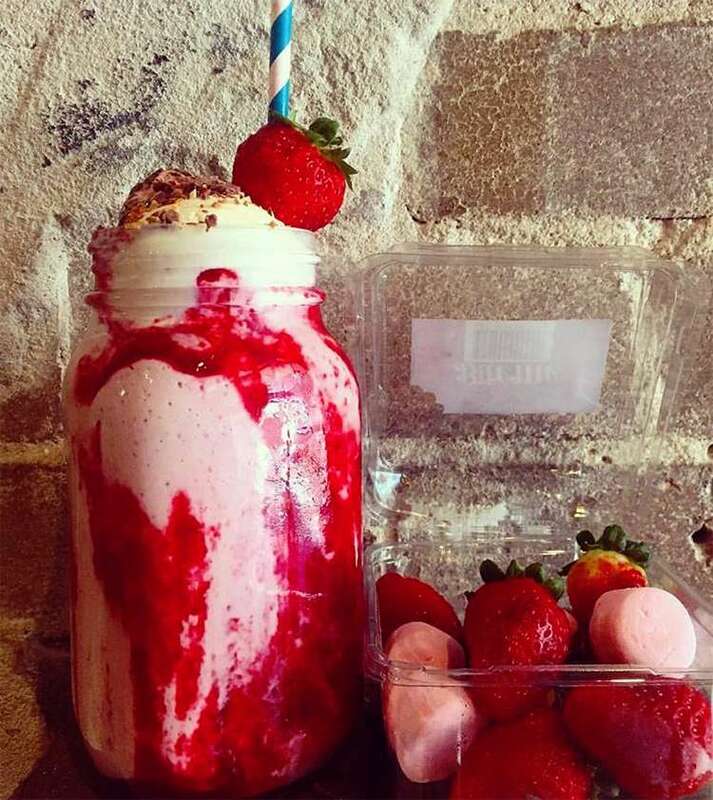 Milky Lane is actually primarily a burger bar but its just happened that we’ve become known recently for our crazy viral desserts haha. Speaking of crazy viral desserts, everyone’s been talking about your amazing Churro Bowls. How did you come up with those? To be entirely honest, we didn’t create the Churro Bowl idea. It went viral recently on the internet from something that was made overseas. We always had an idea to create an edible bowl but it wasn’t until we saw this video that we realised it had to be churros. We jumped straight onto it and can safely that we were the first people in Australia to be making them with intent to sell. Oh the suspense! The CoNut looks pretty intense too, in the best way possible. What goes into making it? The CoNuts are a lot more work than the Churro Bowl and perfecting these was a little harder than we first thought. A friend sent us an image of these from Prague which we then reposted and it went viral – being picked up by UNILAD and every major blog/media site in the world. We wanted to make them traditionally, so we imported the authentic cooking oven from Slovakia and got to work with the pastry and dough methods, the cooking and of course, the decorating. Why do you think people love trying such crazy desserts? People love stepping out of their comfort zone with desserts and trying combinations of all of their favourite things together. It seems the crazier the dessert, the more chance it has of going viral, but we have made sure that every single dessert at Milky Lane is still easily edible and doesn’t require a team of 4 people to deconstruct it haha. There really are no limitations when creating desserts and infusing flavours, which is what makes it so enjoyable. Alongside all the amazing menu items, you’re going to have a super funky space including a DJ booth hanging from the ceiling and a back section with a man-made rain shower. Who did the design and how did you come up with ideas for it? Josh Clapp from Taught By Black is the genius responsible for the masterpiece you’ll see when we open our doors on Friday 6th of May. Josh and his team have done the most amazing job ever of bringing my ideas and dreams to life. Aside from winning the Time Out Award in 2014 for Best Fit Out on Lobo Plantation, Josh and his team are responsible for many other amazing creations in NSW so it was a no brainer for me when deciding who we’d be using. 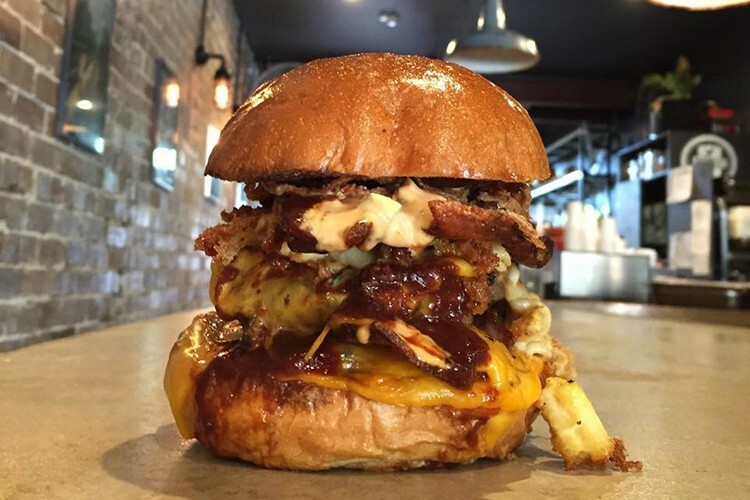 The idea behind it was to go way beyond your typical burger bar/diner setup. These days, you have to be more than just food. There needs to be a perfect co-existence of flavours, service, ambience and interior. I told Josh I wanted to build an “Instagram upload heaven” of quirky things that people notice and HAVE to show their friends. We have a 3D perspective art piece going on the floor in one area; some of the artworks on the walls interact with the plant life and landscape; there’s a custom built ghetto blaster on one wall that comes over onto the ceiling as well; we have a LED lit wooden tunnel that takes you from the front section to the back with a cut-out in the side of the wood where an artwork will be done that’s an exact representation of the restaurant next door, done perfectly to scale. It will look like a window looking through to Neighbourhood. There are so many custom pieces in this restaurant that are going to blow people away. Wow, that sounds absolutely mind-blowing! When you’re not busy sampling all your own treats, where are some of your go-to spots for a great meal? I love to support local businesses such as Neighbourhood, who are situated next door to us. Bondi is such a great community of people that look out for one another so I choose to spend my money here. 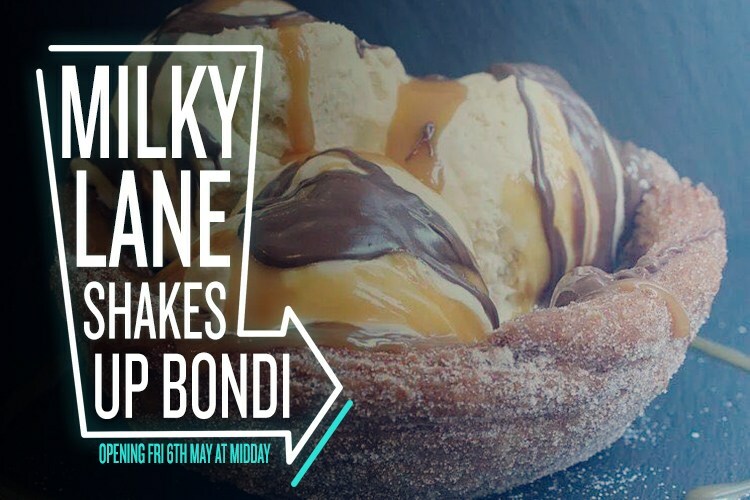 Milky Lane is set to open on Friday 6th May at Midday at 141 Curlewis St, Bondi. Head to their Facebook page for all the latest updates!